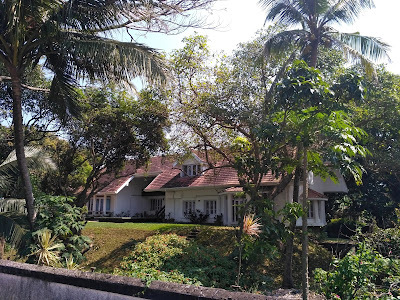 Of all the exciting things I accomplished last year, my year-end solo trip to Kerala would be the foremost. 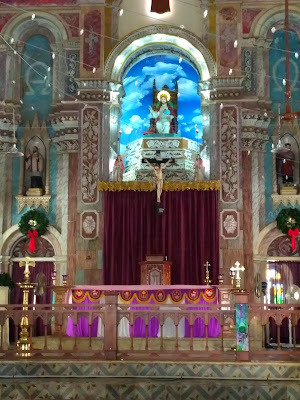 The seven days I spent exploring the kaleidoscope-esque state gave me reasons to believe that it could be one of those places where I would happily breathe my last. 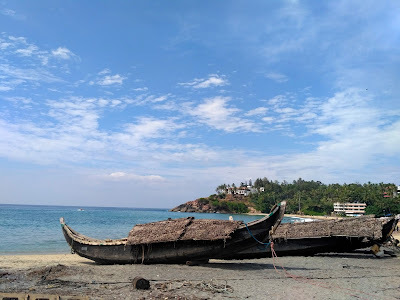 The perfect mix of blue and green, lyadh and liveliness, abundant sunshine and moon-kissed beach walks, sound of waves crashing and tranquillity of solitude, travelling solo in Kerala pulled me out of my comfort zone and changed the way I looked at things. It urged me to find my abode of peace and I returned home with a happiness my heart was incapable of holding and a smile I had forgotten I smiled. 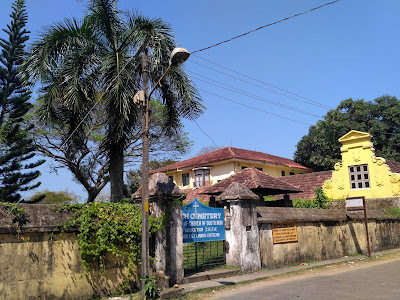 My Kerala trip started off purely academically in Thiruvananthapuram where the conference I was attending was being hosted. The three-days event, apart from being very well received by researchers and practitioners alike, provided ample introduction to the Malayali way of life through traditional Keralan delicacies, mesmerising Kathakali dance performances, sight-seeing to nearby beaches, and finally a trip to the famous Padmanabhaswamy temple. 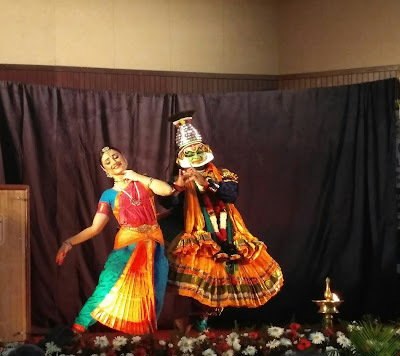 Kathakali and Bharatanatyam being performed. Personally though, I felt that Trivandrum was more like a commercial capital and shopping hub of Kerala which might do little to quench your wanderlust. 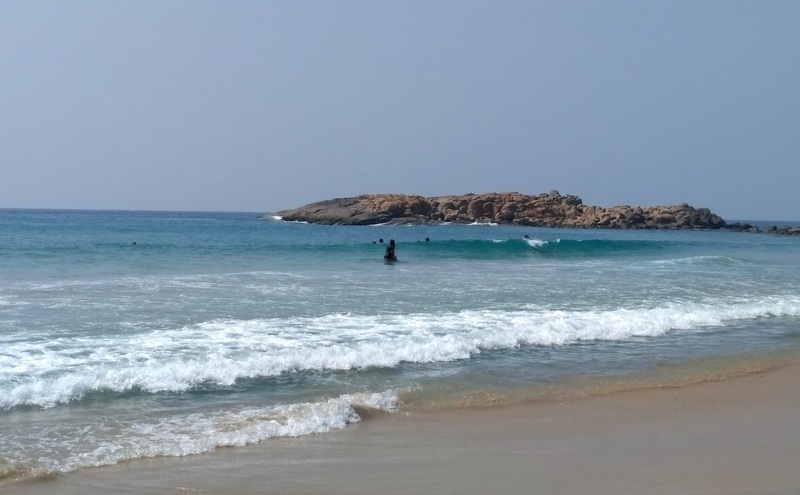 Instead, it could be a convenient starting point for day/weekend trips to Kanyakumari and other places in Tamil Nadu. 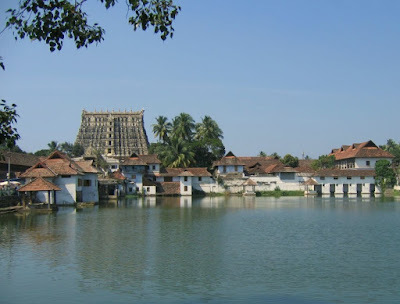 Alternatively one could take the coastal route, visit Kovalam/Varkala, move north to Alleppey for the backwaters and finally proceed to Munnar and/or exit from Kochi. You could easily spend two weeks in Kerala, if not more. I, however, was short of time and therefore decided to spend a couple of days in Kovalam, visit Alleppey for two days and finally take the flight back from Kochi. The first part of the itinerary went as planned. One could easily avail Uber or private Autos for a relatively cheap fare to reach Kovalam from the capital (a distance of about 14 kilometers). 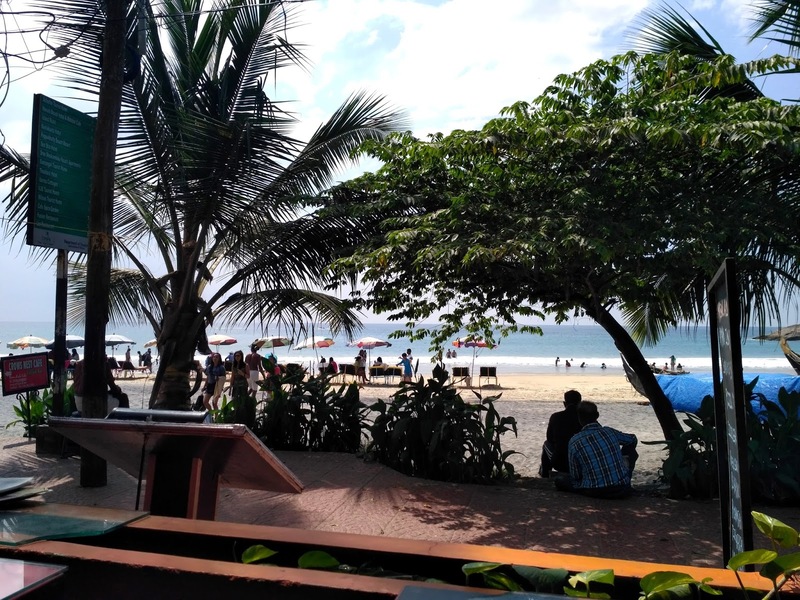 The rest of my itinerary, however, went haywire when the heart fell hopelessly in love with the golden sands and palm-lined beaches and decided to take matters in its own hand! 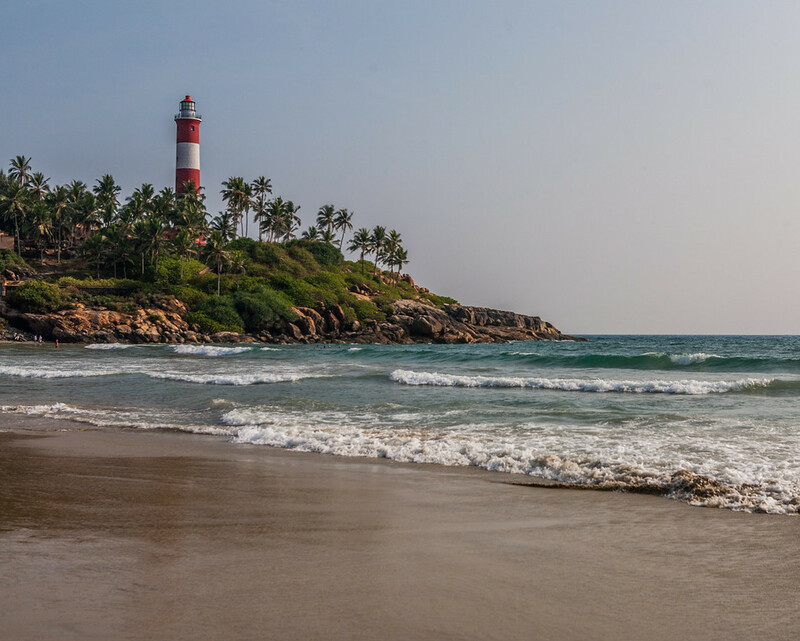 Kovalam is what dreams are made of. 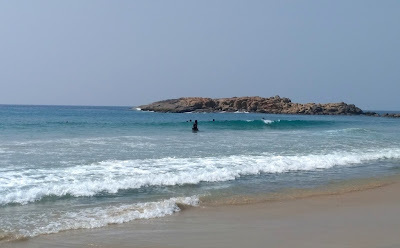 The crescent-shaped beaches, abundance of coconut trees, coppery haze of the tropical sun, the wind in the hair and sands between the toes will leave permanent footprints in your heart for years to come. 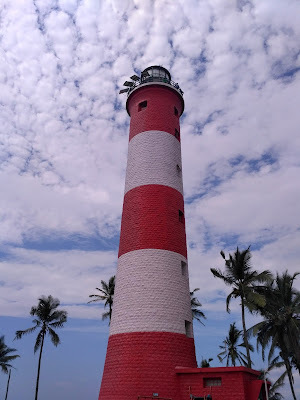 The red and white Kovalam lighthouse situated atop a large rocky promontory in the southern stretch of the beach is a sight to behold, where one could just spend hours and day-dream! The leisure options are endless here. You could sunbathe for the most part of your day, take a long relaxing dip in the calm waters of the Arabian Sea, indulge in Ayurvedic treatments and herbal massages, read a book or let the mind wander into uncharted territories while sipping on coconut water. 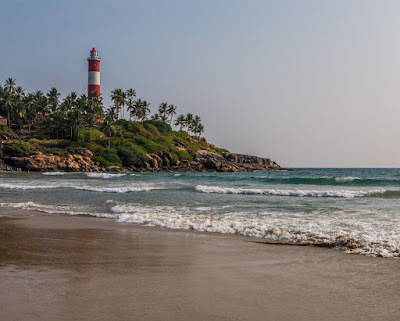 December is not a peak tourist season in Kovalam which allows you to sufficiently soak in the peace and quiet of the place without much disturbance. 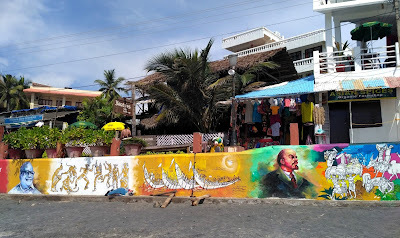 The entire Kovalam coastline is packed with numerous curio and beachwear shops, restaurants, heath centres, resorts and hotels. 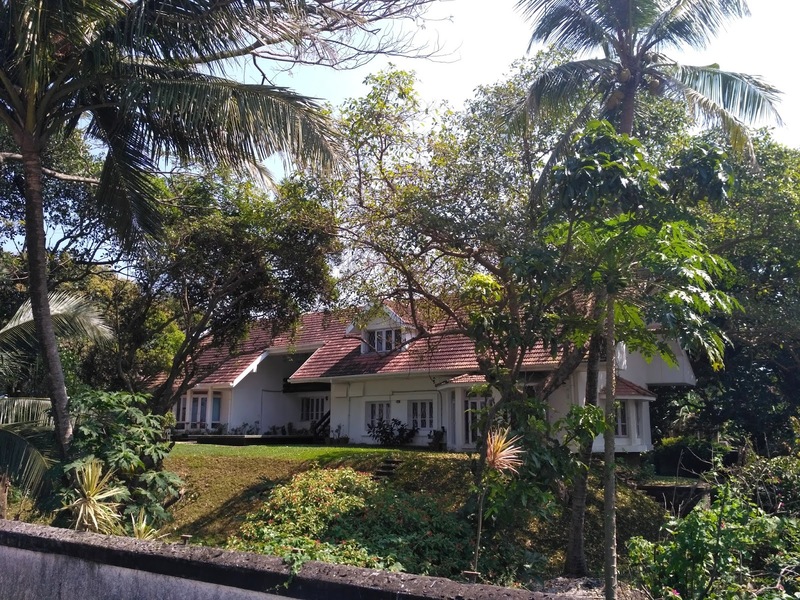 Accommodation facilities usually range from five star luxury and specialty resorts to budget hotels, while the diverse palate of continental, malabari and south indian delicacies will spoil you for choice. I personally would recommend the Kingfisher restaurant at the Lighthouse beach for malabari-styled fresh seafood and the Palm Beach restaurant for a wide variety of sumptuous breakfast/brunch options. 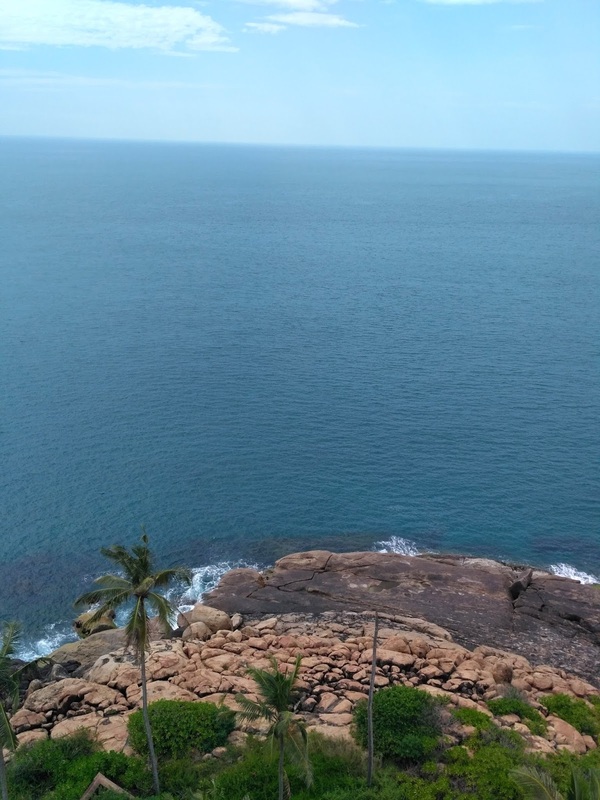 Stunning landscapes aside, there was something unsaid about Kovalam that calmed me in a way Ma's oiled fingers massaging my tresses did when I was a child. Sitting there, the world seemed transparent and frozen in time. At the end of the first two days, I just couldn't bring myself to leave and spontaneously decided to skip Alleppey and spend a couple of days more before heading off to Kochi. 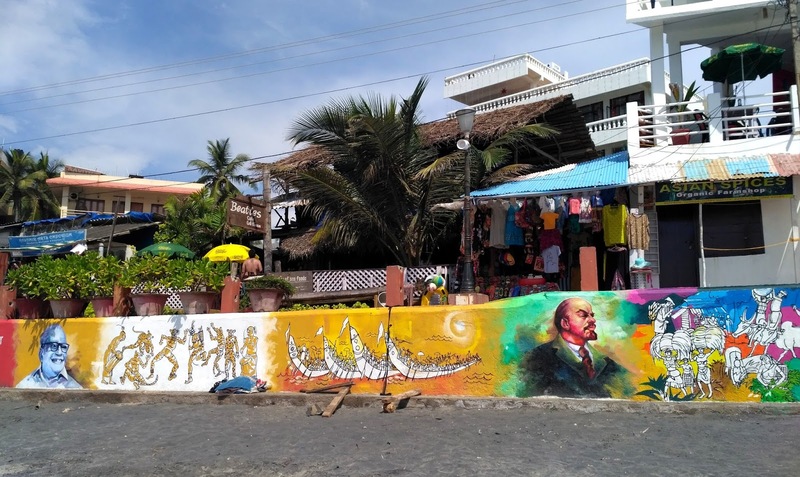 One word of caution though, particularly if you are a solo female traveller, would be to ignore the constant stares of random men at the beach and be stern in your responses if they try to communicate. Unfortunately, most would assume that you are available and looking for hookups and might approach you for phone numbers or pictures. Do not let it leave a bad taste in your mouth and be rude if you have to. Keeping yourself safe is your responsibility and therefore do EVERYTHING in your capability to ensure that. 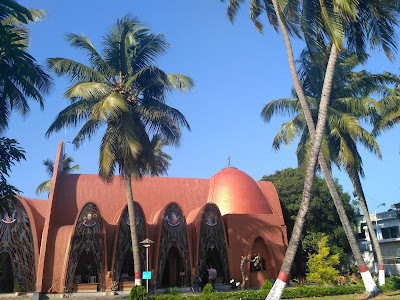 Moving on to Kochi was a mixed bag of emotions. 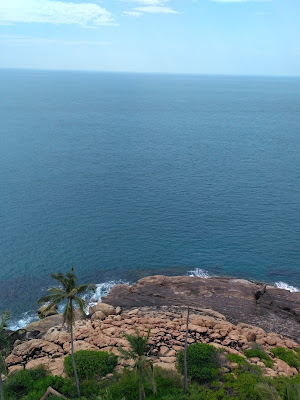 A part of me wanted to stay back in Kovalam never to return, while the other pragmatic part wanted to explore new places and eventually return to the mundane. 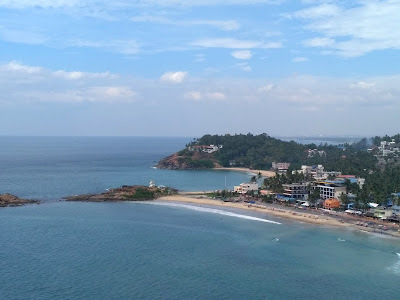 The nearest railway station from Kovalam is Trivandrum central, from where there are frequent trains to Ernakulam Town (North). Choose to stay in Ernakulam and take the ferry for INR 4 to visit the old town of Kochi, or stay directly at one of the many budget or luxury hotels near Fort Kochi. 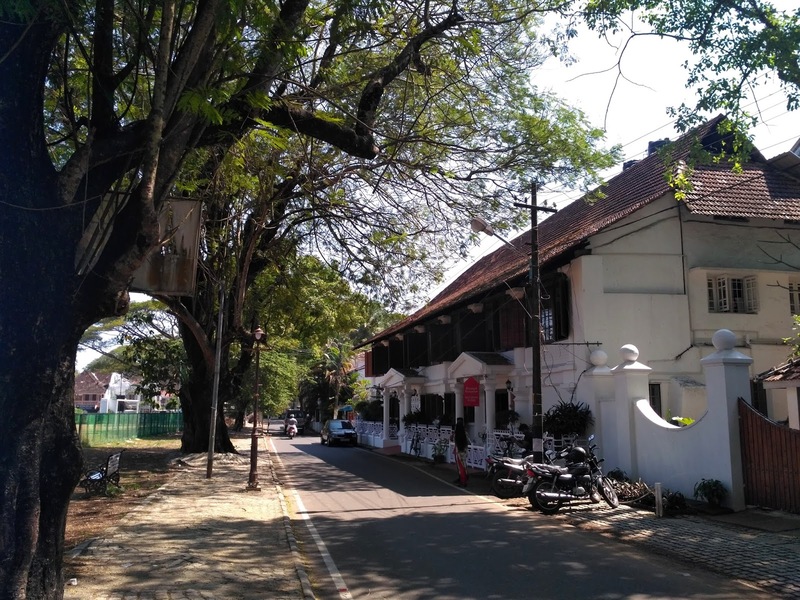 All the major "tourist attractions" of Kochi are located in the old town and are accessible by foot, which make day trips quite convenient. 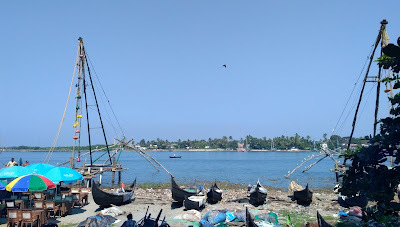 If you ask me, I did not find Kochi to be visually spectacular. But, it tugged at my heartstrings in more ways than one. 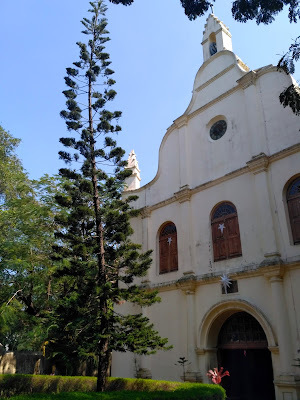 In fact, that in a nutshell was Kerala for me. I left a part of my heart there, perhaps to come back and collect it some day. This is why my first solo trip in India will be special, very very special. Because it will always remind me of things, places and promises to come back to when I shall breathe my last. Glad to see such lovely pictures from my own state.
. "She looked at me in mock horror and said "Aiyyyoooooo" and we both burst out laughing. 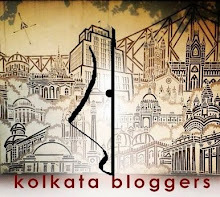 "- Human beings need no language to connect! haha, word! that was also my favourite part. I spent good 20 years in TVPM :) Glad to read your experiences there. 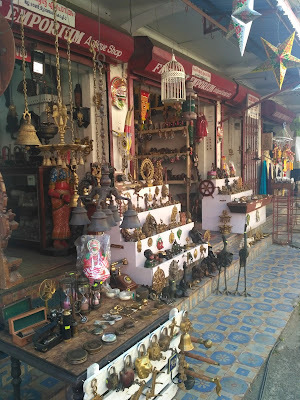 Isnt Kochi awesome? 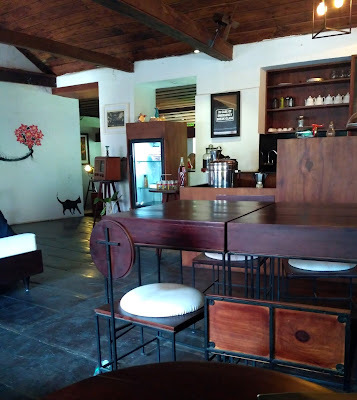 I loved Loafer's Heaven too!